Converting a loft into a habitable space can be a great way of increasing the living space in your home and is also a chance to make your home more energy efficient and help reduce your fuel bills. A critical part of converting your loft is installing suitable insulation to ensure the room is a comfortable environment and does not require significant heating. When converting a loft into a habitable space it must comply with Building Regulations Approved Document Part L1B. In order to do this, the roof must achieve a U-value of 0.18 W/m2K. This U-value is a measure of the level of heat transfer between surfaces - the lower the value, the slower the rate of heat loss to the external environment. To meet building regulations there are several types of insulation which can be installed in the walls and rafters of the converted attic space. The three main types of insulation which are commonly used in roof conversions are rigid insulation, flexible insulation and thermal lining boards. Rigid insulation boards are available in various thicknesses. The thickness of the insulation material is a significant consideration when converting the roof space, as the cheaper products tend to be thicker which might reduce head room more than you would like in a loft with a sloping roof. Flexible insulation and thermal lining boards, though thinner and cheaper, are not as effective as rigid insulation boards but can be a good compromise in difficult to insulate areas. Payback time for insulating a loft conversion will normally be less than seven years, so you will certainly save money in the long run by ensuring the roof is well insulated. What if I have already had a loft conversion? 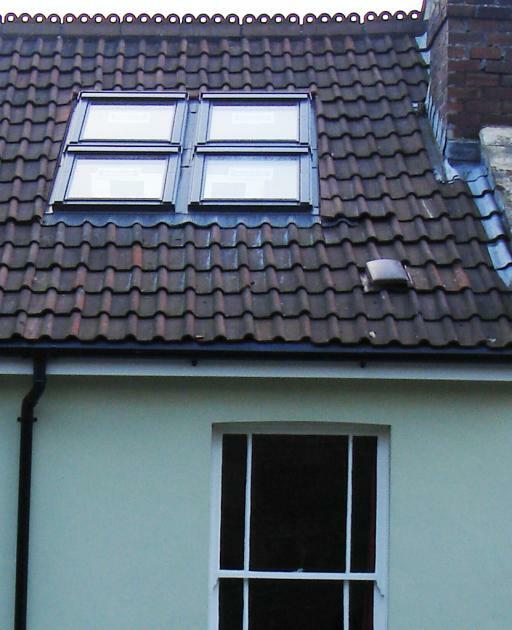 If you have already have a loft conversion and you are planning to have re-roofing work done, the loft space must meet the current building regulations after the work is completed. This may require insulating the roof to achieve a U-value of 0.18 W/m2K. Often, insulation can be applied externally whilst the re-roofing is happening, avoiding the inconvenience associated with insulating the loft space internally. You could insulate an existing loft conversion internally, as described above. This would require redecorating and the size of the room may become reduced as a result of adding insulation materials to the walls and roof. Windows can be a significant source of heat loss so it is very important to fit high performance double or triple-glazed windows into your new loft space. Modern windows must comply with regulations, and their energy efficiency will be rated from A to E on a certificate. Putting windows into south-facing roof surfaces could significantly help heat and light the loft space and reduce energy use. Blinds should be fitted to south-facing windows to avoid overheating in the summer. A lack of adequate insulation can result in significant condensation and damp problems in the new room. This can lead to mould growth, which has the potential to both affect your health and lead to rotting timbers which can be a serious structural problem. Additional vents may need to be installed in the roof (see picture) to allow air to circulate around the roof timbers to prevent problems with damp. Condensation is particularly likely if the room in the roof incorporates an area where a significant level of moisture will be created, like a bathroom or kitchen area. If a new bathroom is being built then you will need to install an extractor fan to expel as much moisture as possible. Insufficient heating can also significantly contribute to issues with condensation and damp. It is important to make sure there is adequate heating in the new room. This may involve extending the existing central heating system by adding a radiator to the room in the roof, or installing new room heaters. If the loft conversion is large, you may need to upgrade your existing boiler with a more powerful system, in which case you should try to get an efficient A-rated boiler. If your loft conversion is going to require hiring scaffolding, this may be a good opportunity for you to fit solar photovoltaic (electricity-generating) or solar thermal (water-heating) panels onto your roof, since some of the installation costs, like scaffolding, can be absorbed into the cost of the overall build. A loft conversion which does not change the exterior of the property is in most circumstances considered a permitted development and does not require an application for planning permission. But it’s always worth checking with your local planning department before any work is carried out to make sure it meets all the necessary requirements.